T-shirt quilt for graduate. Word was sent back to me that she loved it. Hard to tell, but the fabric is a RWB uneven stripe. Therefore the corner stones to keep from having to match stripes. 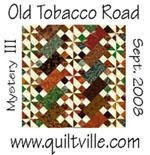 Gyleen Fitzgerald is running another mystery quilt. Yea!! started Sunday. I have finally picked out fabrics. I say finally because I had other things to do before I got to this. Now to cut and sew. 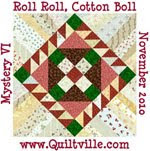 Here is a picture of the fabrics. Yes, that is a bright yellow, but it needs to be. The print is the main fabric. I will follow up with progress pics as I can. I look forward to seeing the result of this mystery. 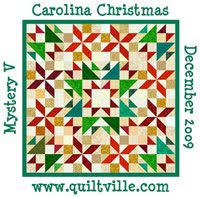 How can I find out about her mystery quilt?